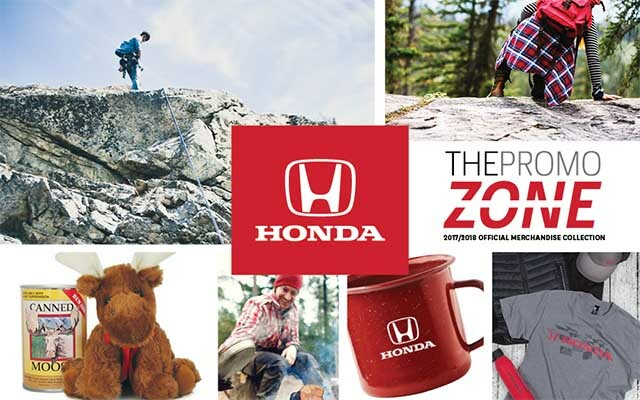 Honda presents an exciting collection of official Honda merchandise suitable for everyone! Looking to get into Honda gear? We have it all from custom graphic tees, to jackets, caps, golf shirts and much more! You can also find a great selection of travel mugs, tote bags, seasonal merchandise, and fashionable accessories. Kids and pets aren’t left out – we have merchandise for them too! Browse through our catalogue for the complete selection. Items are available for purchase through Cambridge Centre Honda.